You may or may not have heard of this by name, but I can almost guarantee you've experienced this in many different facets of your life. It’s the phenomenon where an individual constantly changes their focus from one goal to another every time they see a new “shiny ball” of potential. Hah! But this is actually a very serious topic, and it affects people of all life stages. When someone changes their life’s purpose every time you talk to them, they’re expelling a tremendous amount of energy working towards a noble goal, only to change and start in a new direction. Most people do this constantly and don't get anywhere. It can be in our human nature to always want the best option, and so it's only logical that we go for the one that looks the best. The only problem is, we exist in the present time and what looks good now may not always be the case, once things get difficult and we start to lose focus, we start to look around us and we see other potential opportunities that look much better. This is especially true when things get a little rough, instead of addressing issues, we see that "the grass looks greener on the other side". We give up too early on things that really matter. We don’t give enough time to let strategies play out and reap the rewards. This is what the plan looks like in our heads. Simple, right? This rarely happens in real life. Once we're conscious that this can happen we tend to protect our dreams and our goals. We build stronger commitment walls to keep us on track. We start to keep our goals private and hidden away from attack because they matter so much to us. People around us may not understand what we're working towards, and even when you explain it to them, they don't get it - this is totally OK as long as YOU know the reasons why you're working towards it. For instance, this may happen if you're trying to build savings in your wealth pyramid strategy and other's are busy spending money and buying toys. Even when we try to protect our goals and resist the urge of getting talked out of them by friends, the unthinkable happens and external pressure from those that love us the most intervene - family. Our parents in particular can be a very strong influence. It’s rare that family would want anything but the best for you, but in many cases, a parent's lack of education in personal finance / financial planning or past experiences boil to the surface and present themselves in a defensive, albeit disproportionately negative way. Their knowledge may be entirely based on social norms about how one should spend their money. "Keeping up with the Joneses" may be their way of life. Your family may try to pressure you into social norms like: buying a diamond ring, getting married, buying a house, having kids, getting a better job etc... Social norms are really only constructs we've all made up together as a society. Most people don't know why they conform to social norms other than it feels right, simply because everyone else is doing it. It doesn’t make them the absolute truth. We need to have laser focus on what we truly want in life. We need to build strong commitment walls to protect us from outside influence, and we need to keep pushing ourselves towards our goal one step at a time; we can’t rely on anyone else to do that for us. "Don't quit your daydream, go get yours." If this is what you truly want, and if you stay committed you will have everything you aspire to. Don't ever let someone tell you that you can't do something - even those we love the most can have limiting beliefs that lead to negative impacts on our dreams. You are free to define what life you want for yourself. This scene is what I'm trying to convey to you (grab a tissue, we're about to cut some onions up in here). Quite a few readers ask for additional resources at the end of each post. This is a book that changed a lot for me. 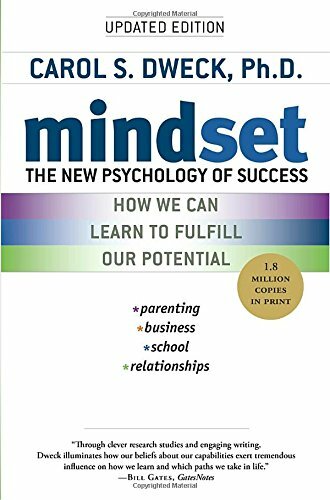 It's about approaching life with a growth mindset, and knowing that nothing is stuck the way it is, you are free to develop, grow, and turn your interests into blossoming abilities. Of all the books I recommend, this one really hit me, I use it all facets of my life. TL:DR - Have laser focus on your goal and build strong commitment walls to protect your dream. You don't need anyone's permission but your own.